We provide Social Networking Website Design with bespoke features to help members connect with each other. 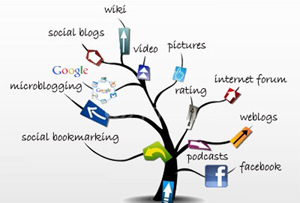 Social networking is a popular Web 2.0 phenomenon. Sites like Facebook, Myspace, Twitter and LinkedIn have grown at such a rapid rate that many companies now look to own their own social networking site. The major factor in having your own social networking site is the direct communication you have between yourself and the customer. In today’s trend, social networking is one of the best ways to use people in routine to interconnected each other and build a network or social relationship as per their interest. Owning your own social networking site gives your company full and total control over the message your customers and brand loyalist get to see and take in. HGS TECHNOLOGIES is a best company to provide online Social Networking and Social Community`s Website Development by our high experienced web developers. Our developers are highly knowledgeable in current trend and give you the best ROI and best quality to develop a social networking website.